Here at Total Winner Sports you will find our hot releases for NFL, College Football, NBA, College Basketball, and MLB Baseball and NHL Hockey! You will get ONE (1) to THREE (3) Top Quality Plays Per Day. We know what's moving, when to get in and when to get out. Total Winner Sports deliver real winners day in and day out based on hard work and time spent studying the numbers. We cover all major sports and have packages available at bargain prices! Which is better?... The answer is neither! The key to long term profits in sports betting is finding the middle point between quantity and quality. Below I will show you the difference between quantity, quality and finding the middle point. The example below will show you the profits from different amounts of games and different winning percentages. Quality: Let's say you wager 1 game per day for a year and you hit 62%, you would finish the year 226-139. Assuming we are Wagering $110 to win $100, you will make a profit of $7,310 in one year. Quantity: Let's say you wager 5 games per day for a year and you hit 54%, you would finish the year 985-840. 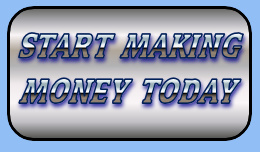 Again assuming we are Wagering $110 to win $100, you will make a profit of $6,100 in one year. Now that you have seen the difference between quantity and quality, take a look at the results if you are able to find the middle point. Let's say you wager 3 (middle of 1 and 5) games per day for a year and you hit 58% (middle of 54% and 62%), you would finish the year 635-460. Once again assuming we are Wagering $110 to win $100, you will make a profit of $12,900 in one year, that is basically double the profit. Believe it or not, very few sports bettors are aware of this theory. Either they are throwing money at too many games or they are taking too few games to have a higher winning percentage, but a higher winning percentage does not mean a higher profit. Finding the middle point is the key to making money in sports betting. The games released are 1 unit games. 1 unit is how we rate our games. Using our unit rating system, you will decide what your unit rating is worth. For illustration purposes we use $100 per unit as an example. We release and rate our picks based on a 1 unit rating system. So if you are betting $100 per Unit you would bet $100 (or $110 to win $100 on a 1 Unit Play). This "unit" sports betting system is the key to your success - but you must stay disciplined. Discipline is critical in sports betting because wins and losses often occur in streaks. The problem is that many bettors get too aggressive during a hot streak and become too panicked during a cold streak. Streaks do not last forever, so stay consistent with your bankroll and NEVER chase your losses. If you stay disciplined you will enjoy success with Total Winner Sports. By using this site, you agree the information provided within this site is for news and entertainment purposes only. Use of this information in violation of any federal, state, or local law is prohibited.